Roughly 50 percent of local governments within a 30-kilometer radius of a nuclear power plant — excluding municipalities where the plant is located — want to have a say in the restarting of nuclear reactors, a Mainichi Shimbun survey has found. 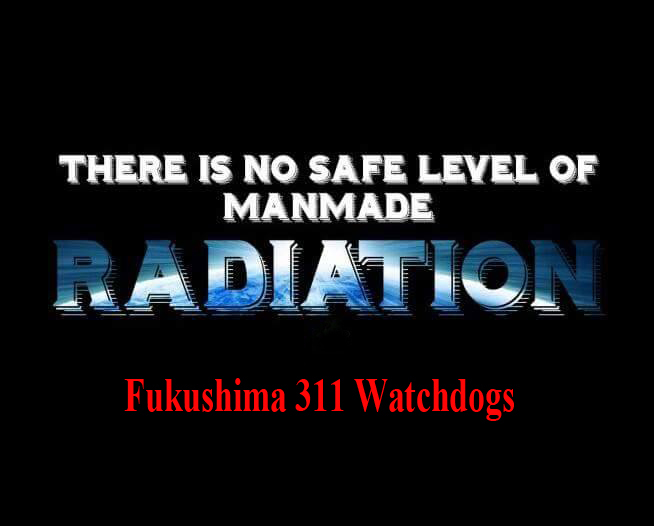 Since the meltdowns at Tokyo Electric Power Co. (TEPCO)’s Fukushima No. 1 Nuclear Power Plant in 2011, the reactivation of nuclear reactors has been subject to consent from prefectures and municipalities hosting the facilities. However, taking into consideration the widespread damage and risks associated with the disaster in 2011, neighboring authorities have also been keen to get involved in the approval process. Of the 155 local bodies approached, 153 local government heads — excluding those of Iitate, Fukushima Prefecture and Ikeda, Fukui Prefecture — gave answers while 154 local assemblies, excluding that of Iitate, cooperated. Local government heads were asked whether they are for or against reactor restarts at the local nuclear power plant, the extent of their local government’s involvement, and the status of any safety agreements with electric power companies. Assemblies were asked whether or not they have adopted any written statements concerning the restarting of nuclear reactors, among other questions. Regarding the right to approve reactivation of reactors at nuclear power plants and the right to conduct on-site investigations — which have effectively already been given to mainly local governments where plants are located — the local government heads were asked if these rights should be extended to neighboring bodies as well. In response, 56 heads stated that it was necessary to grant such rights, seven said that it is partly necessary, 24 said it was unnecessary, one head did not know, 60 gave other answers, and five did not reply. Altogether, 60 of the 63 heads who said the granting of such rights was “necessary” or “partly necessary” belong to neighboring local governments. Of these 60 local bodies, 16 said that they are against restarting nuclear reactors. Meanwhile, of the 24 heads who said the granting of these rights was “unnecessary,” 10 belong to local governments where a nuclear power plant is located, including Fukui Prefecture — revealing a difference in attitudes between the immediate and nearby local governments. The village of Tokai in Ibaraki Prefecture — where the Japan Atomic Power Co.’s Tokai No. 2 Nuclear Power Plant is based — was among those that replied that it is “partly necessary” to extend the rights. This Sept. 30, 2017 aerial photo shows the reactors of No. 6, right, and No. 7, left, at Kashiwazaki-Kariwa nuclear power plant, Niigata prefecture. (Newser) – The biggest nuclear power plant in the world sits idle, as it has for nearly seven years. But that state is set to change, and not without public trepidation. The Guardian reports that Japan’s nuclear watchdog this week gave Tokyo Electric Power (TEPCO) the green light to restart two of the seven reactors at Kashiwazaki-kariwa, which fell victim to the country’s nuclear power moratorium in the wake of the March 2011 Fukushima disaster. That calamity occurred on TEPCO’s watch, and the utility says the money it will generate from Kashiwazaki-kariwa’s power is key to funding its continuing decommissioning efforts at Fukushima. It has poured more than $6 billion into Kashiwazaki-kariwa in an effort to make it immune to the series of disasters that befell Fukushima. A 50-foot seawall provides tsunami protection, for instance, and 22,000 tons of water sit in a nearby reservoir, ready for the taking if reactors need sudden cooling. But locals aren’t convinced—the Japan Times reports some people shouted at the meeting where the restart approval was granted—and that matters: Though the restarts are penciled in to occur in spring 2019, the AFP reports local authorities need to give their OK, and that process could take years. The plant is located in Niigata prefecture, and locals there cite the active seismic faults in the area as a major concern; the Guardian notes “evidence that the ground on which Tepco’s seawall stands is prone to liquefaction in the event of a major earthquake.” A second is the fear that should an evacuation be necessary, it would be much less successful than that of Fukushima due to the bigger population. In the meantime, if the reactivation of the atomic power station is to be delayed, there is a possibility that the national government’s grants to the host municipalities will be reduced. NIIGATA — There are no prospects that two reactors at the Kashiwazaki-Kariwa Nuclear Power Plant, which have passed a safety review by the Nuclear Regulation Authority (NRA), will be restarted in the foreseeable future, as local bodies hosting the plant remain divided over the issue. The mayors of the city of Kashiwazaki and the village of Kariwa, which jointly host the power station, are in favor of reactivating the No. 6 and No. 7 reactors at the plant owned by Tokyo Electric Power Company Holdings Inc. (TEPCO). Niigata Gov. Ryuichi Yoneyama, on the other hand, remains cautious about the resumption of the units’ operations. Gov. Yoneyama told Masaya Kitta, head of TEPCO’s Niigata regional headquarters who visited the governor on Dec. 27 that the prefectural government cannot agree on the early reactivation of the plant. “I have no intention of objecting to the decision by the NRA, but our position is that we can’t start talks on reactivation unless our examination of three-point checks progresses,” Yoneyama told Kitta. The governor was referring to his policy of not sitting at the negotiation table over reactivation unless three points are examined by the prefectural government: the cause of the Fukushima nuclear disaster, potential effects on people’s livelihoods as well as health in case of an accident, and safe evacuation measures. He has stated that it would take two to three years to complete the checks of these points. The governor also told Kitta, “Our examination will never be affected” by the NRA’s judgment that the plant meets the new safety standards. Moreover, the prefectural government is poised to independently examine the outcome of the NRA’s safety review of the Kashiwazaki-Kariwa power station. Kashiwazaki Mayor Masahiro Sakurai and Kariwa Mayor Hiroo Shinada were separately briefed by plant manager Chikashi Shitara on the outcome of the NRA safety review of the facility. The Economy, Trade and Industry Ministry is continuing to provide such grants to local bodies hosting idled nuclear plants by deeming them to be running plants in some form. In April 2016, the national government revised its rules on grants to nuclear plant host municipalities and decided to reduce the amount of funding if the facilities are not restarted within nine months after the completion of the NRA’s safety review, which is necessary for reactivation. The No. 6 and 7 reactors at the Kashiwazaki-Kariwa plant need to pass two more inspections within a year. If it takes several years to form a consensus among the local governments concerned, however, grants will be reduced in fiscal 2020 at the earliest. The amounts of reductions are estimated at some 400 million yen for Kariwa, about 100 million yen for Kashiwazaki and approximately 740 million yen for Niigata Prefecture. Tokyo Electric Power employees check instruments in a mock-up of the plant’s central control room. Kashiwazaki-kariwa nuclear power plant, with the Japan Sea in the distance. The public, however, is far from convinced. Last year, the people of Niigata prefecture registered their opposition to the utility’s plans by electing Ryuichi Yoneyama, an anti-nuclear candidate, as governor. Exit polls showed that 73% of voters opposed restarting the plant, with just 27% in favour. Workers at Kashiwazaki-kariwa nuclear power plant in Niigata Prefecture, Japan.